This translucent, silky serum is formulated with two percent salicylic acid to help cleanse and dry blemishes and help prevent future breakouts. When used as part of the Clear Proof® System for Acne-Prone Skin, it may help minimise the appearance of pores and help control shine. 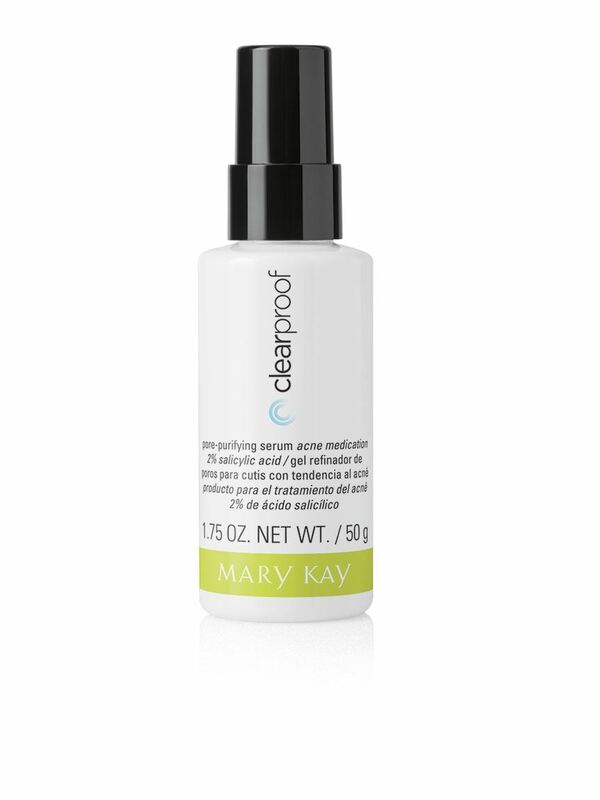 This serum is part of Clear Proof, a comprehensive skin care regimen dedicated to fighting acne. Several products in the system feature salicylic acid, an important ingredient in the fight against acne. Step 5: The Clear Proof® Acne System includes Clear Proof® Oil-Free Moisturizer for Acne-Prone Skin as a final step because even oily skin can lack proper hydration, which can lead to skin producing more oil. This lightweight and quick-absorbing formula soothes skin while replenishing moisture to provide balanced hydration. Skin feels healthier, nourished and smooth. The cleanser, purifying serum and spot solution contain two percent salicylic acid to keep dead skin from collecting in pores. The Clear Proof System for Acne-Prone Skin is a comprehensive skin care approach with several products that feature two percent salicylic acid – a highly effective ingredient to help clear up existing blemishes and help prevent future breakouts. These products are Clarifying Cleanser for Acne-Prone Skin, Pore-Purifying Serum for Acne-Prone Skin and Spot Solution for Acne-Prone Skin. These formulas penetrate pores to unblock trapped oil and debris and leave skin looking clearer and healthier. All three products contain the botanicals Canadian willowherb, sea heather and burdock root that have been shown to impact factors* that may help reduce redness associated with blemishes. Plus, you can add two skin-loving Clear Proof products to round out your regimen.